Seriously, if someone needs to read this article to do this, you probably are not a good candidate to be deleting ANYTHING from your computer. 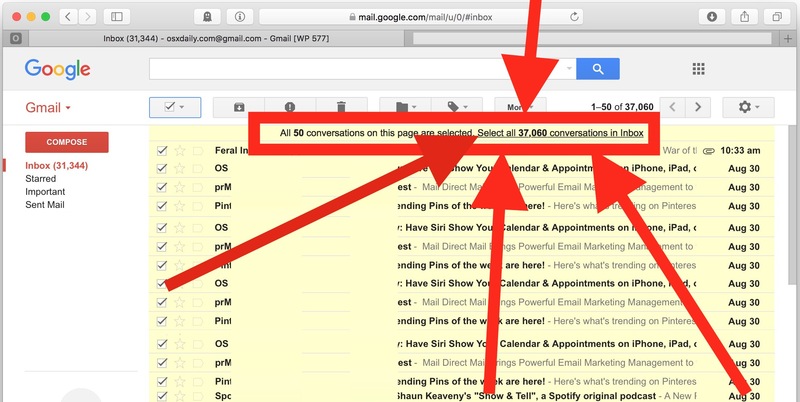 You knew about the secret “Select all conversations in inbox” option to select every single email in an inbox in Gmail so that you can delete them all? Because it’s a hidden option, and I think that’s fantastic if you know everything that is hidden from the user. Why don’t you share your superior knowledge with the rest of us? What other great hidden tricks do you know? Mine doesn’t look like this, and I can’t figure out how to delete all of them. My email shows a list in the column on the left with the names of the emails, and the actual email on the right. If it looked like this one, I could delete them, since that looks just like my xfinity account. My Gmail looks like my Outlook mail in preview. Any idea how I can change the view? Maybe then I can delete things in multiples. 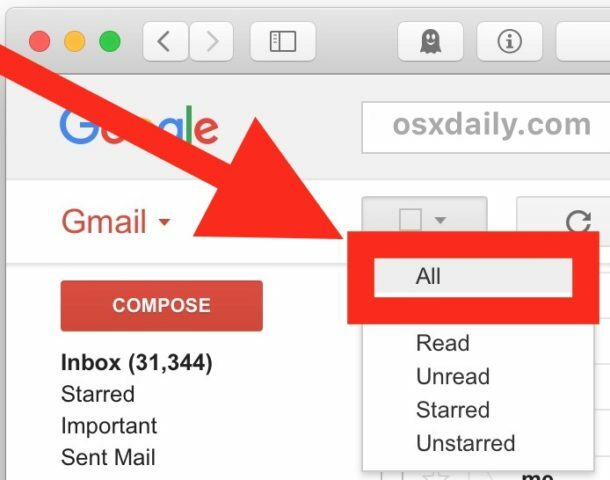 The above will not delete all of the email if you have more then a page full of emails. To the “No Way” commenter, their are those of us who forward our email to another address, and keep the original in Gmail just incase we need to refer back to it or accidentally delete the one that was forward to us. Or don’t you know about that feature? It will delete all gmails emails, that’s why you choose “Select all messages” and then delete, it will delete them all. It bears mentioning that this will also delete all of the archived messages, not just those that are shown in the inbox. While that may seem like common sense, there ain’t much of that around these days. won’t that merely move them to the trash? (which holds them for 30 days before permanent removal). I’m not going to test it. Sorry but this will NOT delete all your emails. 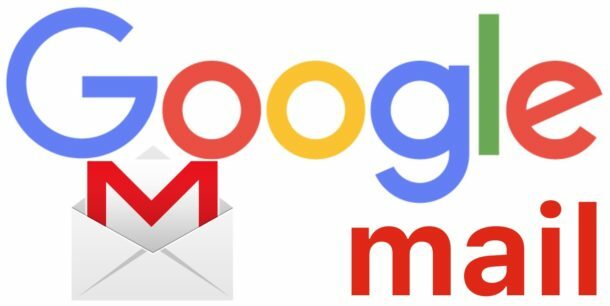 You are just moving your mails of your inbox to the recycle bin and not a single archived email get even touched with this method. 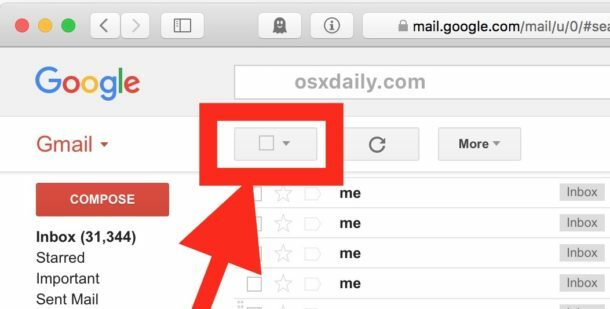 Emails automatically delete from Trash over time, so this does move all emails to the Trash which then deletes all your emails from Gmail. If you see the All Messages button that works too. No turning back with Gmail though so be sure you know you want them gone!! Deleting ALL one’s emails is relatively easy, but deleting JUST THE oldest bundle (1,000 or so) is almost impossible! Does anyone have a simple, effective method to accomplish that??? I would like to save (for a while longer) the latest bundle (250 or so) for a while longer. or what am I missing ? ?